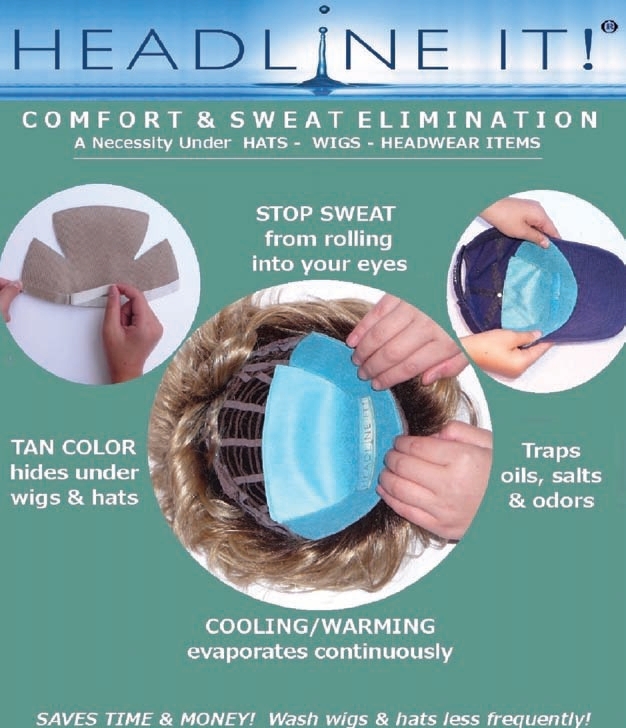 EnV hair lounge & wig center offers a number of wig accessories. Use the carousel below to click through and learn more about what we carry in the salon. HEADLINE IT! Is the only product in the world with high tech wicking materials that pulls sweat to the top layer and helps it continuously evaporate, leaving your head cooler in the summer and warmer in the winter. It traps oil, salt and odors, increasing the hygiene and comfort of any wearer. Great as a barrier for sensitive scalps. The average use is one week. Hat Magic & Face Framers are comfortable synthetic hair pieces. They can be cut to match your current style for an alternative to your full wig. These hair pieces are open at the top and are not attached to a hat, giving you flexibility to change your look every day. 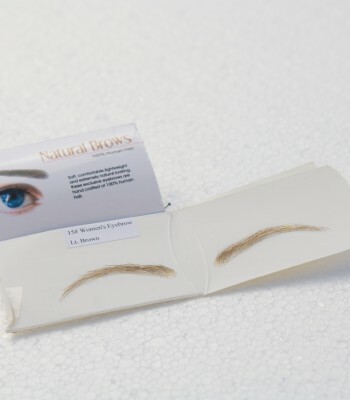 Human Hair Eyebrows are false strips of hair similar to lace front wigs. When the wearer applies them, it gives the illusion of a natural brow line. These realistic looking brows have many uses. They are great for people going through or recovering from chemotherapy treatment and for those who just want fuller eyebrows. Available in a variety of shapes and colors. 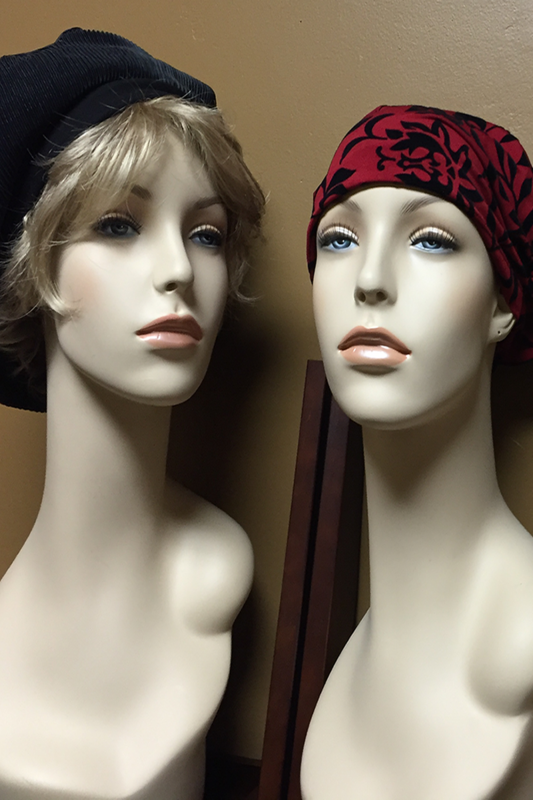 EnV hair lounge & wig center carries a variety of seasonal scarves and head wraps. Stop in today to check out the selection!